Glasses are such a fashion statement it is easy to forget the lenses. As technology has advanced in our world so, too, have eyeglass lenses. Previously, eyeglasses were made exclusively of glass. However, today they are made of many high-tech plastics that give sharper, clearer vision. These sophisticated plastics are lighter, thinner, unbreakable, and can be treated with filters to protect the eye from damaging ultraviolet light. In addition to the lens material, the layout of the lenses have engineered to maximize your vision. Here at Scottsdale Optical we have a comprehensive range of lenses to fit your needs. Crizal® is a special anti-reflective coating to eliminate reflections and reduce the fatigue and stress you may experience in front of a computer, driving at night or working. They are virtually invisible, improving the way people see you and communicate with you. In addition, it is exceptionally scratch resistant and protect the lens from daily wear and tear. 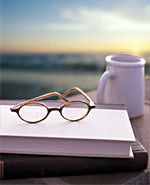 This type of lens is very popular today with people that need some help with reading. This one lens provides sharp vision for all distances from far away to up close and everything in between. All of this without a line in the lens. Standard bifocals are two lenses joined together with a line. They have sharp distance and reading with nothing for the in between areas. Thin and light weight lenses are very desirable. They are more comfortable to wear and cause less distortions. Lenses work by bending light to focus the light on the retina. Some lens materials are more able to bend the light for a given thickness. 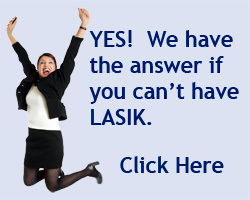 Because of this we are able to make your lenses thinner and lighter. These materials also cause less distortion and maximize the clarity of your vision. Transition lenses are a type of lens that change color when exposed to sun light. These lenses are available for nearly every lens design, refractive index and prescription. Features include advanced variable-tint technology that allows rapid darkening when you go outside (and rapid return to clear when you go in), and 100% UV protection. An important point to remember is they don't darken in the car while driving.